Learning to play the bass guitar when you are a complete beginner with the right tuition and coaching can mean reaching a good level of competence fairly quickly. It takes a certain amount of dedication and practice to get there, but if you are determined to learn this instrument you can become a great player in time. Becoming a competent bassist can open many doors in the music industry and lead to a great deal of satisfaction and most importantly, work! Speaking from the perspective of a professional bassist, I can tell you that if you choose this instrument to play and become really good at playing it, you will certainly be in demand from bands that are looking for what you have to offer. The reason for this is that most bands start off with a guitarist or two and a singer and then they have to hunt around for a bassist and a drummer to complete the basic line-up. You only need to take a look in the classified section of music publications and periodicals to see that the majority of the want ads for musicians are made up of people looking for bassists and drummers. That will tell you there is a big demand for your services and if you can reach a high level of playing, you will be able to pick and choose the best bands to join! I discovered this knowledge very early on in my career when, as a budding teenage guitarist looking for bands to join it became painfully clear that no matter how good I was, the demand for guitarists was and still is pretty low compared to players of the bass and drums. So I learned to play the bass too and landed my first gig as a bassist at the age of 16! The easiest was to learn how to play the bass is to get some solid tuition from an accomplished player who is also a good teacher. I say that because when I was learning, I did it all wrong. I did it by getting a bass player to show me how to play the instrument, which he did. But he was not a good teacher, so I struggled to keep up with what he was showing me. The guy was a great player, but he didn't understand that I needed to go step by step. And he was showing me leap by leap! Sure, I'm a fast learner and I picked up things pretty fast. But it took me a lot longer to master the instrument than it would have done if I'd had a great teacher who took time to explain why he was doing the thing he was doing, rather than just do them and expect me to get it. Don't make the same mistake I made, especially if you think you need to take it slow and steady (which in my opinion is the best way). Get yourself a great teacher who just happens to be a good player and not so much an awesome player who has little or no teaching skills. There is a major downside to getting one on one bassist coaching and that's the cost. The best teachers also come at a premium hourly rate, so unless you have a pretty substantial budget, you may not be able to afford to go this route. A much more affordable alternative is to get signed up to a professional video course that you can join online. This way you get access to a top professional bassist coach who can show you all you need to know one on one in private via your TV or computer. The best online courses for learning to play the bassguitar are great value for money and provide you with everything you need to become a great player. All you need to bring to the table is a deep desire to learn and advance in your playing and the patience and determination to stick at it until you become a great player in your own right. Because you can when you set your mind to achieving it and have great tuition to help you get there. 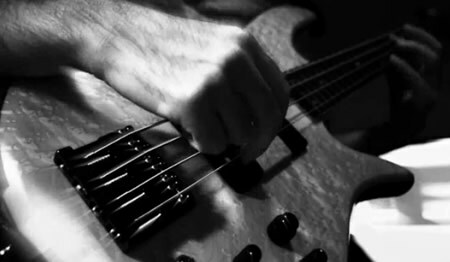 What is the Best Online Bass Guitar Course? 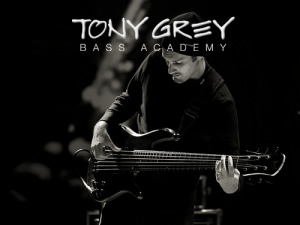 I have tried many of the online courses that are currently on the market and without a doubt I can recommend the Tony Grey Bass Academy. If you're serious about wanting to learn the right way and progress toward becoming a professional player, this online academy is easily the best you will find anywhere. It's not the lowest cost program by any means. But I'm sure you know the old saying that you get what you pay for and cheap usually means cheap! This course is affordable and provides the best tuition from beginners to advanced level. Because it gives you access to other students via an online members-only forum, you get the benefit of peer support and can ask questions and get answers. There are three levels of membership you can choose from, starting from as little as $37 per month for the pay-as-you-go membership plan that gives you access to the whole program which enables you to progress from the start and advance in your own time and pace. ...and you could be on your way to becoming a professional bassist and all the work and enjoyment that comes from that achievement!